Groundwater-related monitoring and surveys and extensive data and information, much of which is accessible through the BGS website. The Future Flows Project was a partnership project co-funded by the Environment Agency of England and Wales, Defra, UK Water Industry Research, the Centre for Ecology & Hydrology, the British Geological Survey and Wallingford Hydrosolutions. The project ran between March 2010 and Spring 2012. It carried out a consistent assessment of the impact of climate change on river flows and groundwater levels across England, Wales and Scotland. The Environment Agency is the statutory body responsible for the protection and management of groundwater resources in England. See the ‘What’s in your backyard’ section for information on the Groundwater Source Protection Zones. See the section on ‘Groundwater as a resource’. The Hydrogeological Group is a specialist group within the Geological Society of London. The aim is to advance the study and practice of hydrogeology. The Global Groundwater Information System (GGIS) is an interactive, web-based portal to groundwater-related information and knowledge. The main purpose of the system is to assist in the collection and analysis of information on groundwater resources and the sharing of this information among water experts, decision makers and the public. The Groundwater (Water Framework Directive) (England) Direction 2014 revokes and replaces the Groundwater (Water Framework Directive) Direction 2006, which applied to both England and Wales. Similar Directions have been issued by the Welsh Government to Natural Resources Wales. The Directions came into force on 16 September 2014. The latest updates on monitored groundwater levels and whether there are any groundwater alerts or warnings in force. The Groundwater Foundation is a US non-profit organisation that educates people and inspires action to ensure sustainable, clean groundwater for future generations. Since its inception in 1985, it has offered a variety of programs and projects for youth, individuals, and communities to learn more about groundwater and how they can help protect it. Groundwater Governance - A Global Framework for Action (2011-2015) was a joint project supported by the Global Environment Facility (GEF) and implemented by the Food and Agriculture Organization of the United Nations, jointly with UNESCO's International Hydrological Programme, the International Association of Hydrologists and the World Bank. The project was designed to raise awareness of the importance of groundwater resources for many regions of the world, and identify and promote best practices in groundwater governance as a way to achieve the sustainable management of groundwater resources. Updated versions of Groundwater Governance 'Shared Global Vision for 2030', 'Global Framework for Action' and 'Global Diagnostic' are available to download from the project website. The Groundwater Protection and Restoration Group (GPRG) at the University of Sheffield is an international centre of excellence for applied research on groundwater. The GPRG seeks to make a practical contribution to the protection, restoration and sustainable management of groundwater through international quality scientific research, supported by engineering applications and wide dissemination. The GWPC is a US organisation whose members consist of State groundwater regulatory agencies which come together to work toward the protection of the nation’s groundwater supplies. 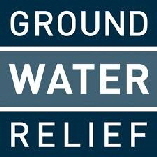 Groundwater Relief is registered with the UK Charity Commission as a Charitable Incorporated Organisation (CIO). 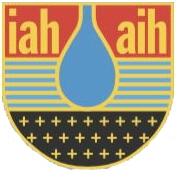 It is an organisation of hydrogeologists and groundwater professionals. Members work within water utilities, mineral extraction companies, environmental consultancies, oil and gas companies, government and educational institutions from across the globe. The objective is to prevent and relieve poverty and sickness and promote the good health of people anywhere in the world by developing their and their water providers’ capacity to sustainably use and develop groundwater resources. The mission of this world wide groundwater organisation is to further the understanding, wise use and protection of groundwater resources throughout the world. IGRAC is a UNESCO centre that works under the auspices of the World Meteorological Organization (WMO) and is supported by the government of The Netherlands. Since 2003, IGRAC has facilitated and promoted sharing of groundwater information and knowledge, focusing on aquifer assessment and groundwater monitoring. Gradually, IGRAC is expanding its interest to other groundwater-related topics, such as governance, training and climate change adaptation. The Global Groundwater Monitoring Network (GGMN) is a network of networks, set up to improve quality and accessibility of groundwater monitoring information, and subsequently our knowledge on the state of groundwater resources. Based at Flinders University, with 12 partner universities, a growing list of more than 15 industry partners, and formal links with some of the world's leading groundwater research organisations, the NCGRT brings together nearly 200 Australian and international researchers to pool their knowledge and expertise. NGWA is a community of United States groundwater professionals working together to advance groundwater knowledge. The section on Groundwater Fundamentals includes information on groundwater hydrology, groundwater fact sheets, groundwater use and information for children and teachers. Groundwater is a technical publication for groundwater hydrogeologists. Each issue of the journal contains peer-reviewed scientific articles on pertinent groundwater subjects. IAH’s Regional Groundwater Flow Commission (RGFC) internationally fosters the research and practical application of regional groundwater flow. It motivates new research, including mathematical analyses of the properties of flow systems, as well as field- and GIS-based methods to study the geological agency of regional groundwater flow. Groundwater information on the SEPA website. SEPA aims to provide a sustainable future for Scotland's groundwater resources by protecting the water environment and other legitimate uses of groundwater. Groundwater can be adversely affected by a range of activities; there is specific legislation and guidance covering each activity. The UK Groundwater Forum is an informal grouping of technical, industrial and research organisations which have an involvement with groundwater. It was formed in 1995 as a means of consulting stakeholders during a study involving a strategic review of groundwater issues and research needs. The forum now operates a highly informative website, sponsors open meetings on topical groundwater issues and produces educational and technical publications. Member organisations include the Environment Agency and the British Geological Survey. The website provides information on the WFD and the Groundwater Directive. In addition to policy and legislation, other topics include groundwater management, groundwater quality, climate change and extreme events, and a very useful background information section. This book provides basic information about groundwater and the UK groundwater industry. The re-launch of this popular publication was incorporated into the Geological Society/International Association of Hydrogeologists conference ‘Groundwater – Managing Our Hidden Asset’ 13-16 September 2016. The e-book is available to download from the UK Groundwater Forum website. U.S. Geological Survey education site – The groundwater section covers groundwater basics, groundwater use; quiz and the water cycle. UKTAG is a partnership of the UK environment and conservation agencies which was set up by the UK-wide WFD policy group consisting of UK government administrations. It was created to provide coordinated advice on the science and technical aspects of the European Union's Water Framework Directive (2000/60/EC). UKTAG operates through technical task teams. The Groundwater task team is one of these. UKTAG and JAGDAG have published the finalised methodology for determining hazardous substances, the list of determinations and the standards that can be used to assess inputs of hazardous substances into groundwater.